Ever since I was a kid, my mum has been repeatedly reminding me about the importance of adequate facial cleansing. I attribute this to the fact that I used to be quite a tomboy-ish girl with questionable hygiene habits. Yes, can you imagine that!!!! Me, a tomboy. I think the very suggestion of that idea might make some of my friends chuckle. I really wasn’t much of a girly girl when I was growing up, and my mum was horrified at how I would only use water to cleanse my face (if I remembered to specifically wash it, at all). The very first facial cleanser brand she introduced me to when I was in Primary School, was Cetaphil Gentle Skin Cleanser. 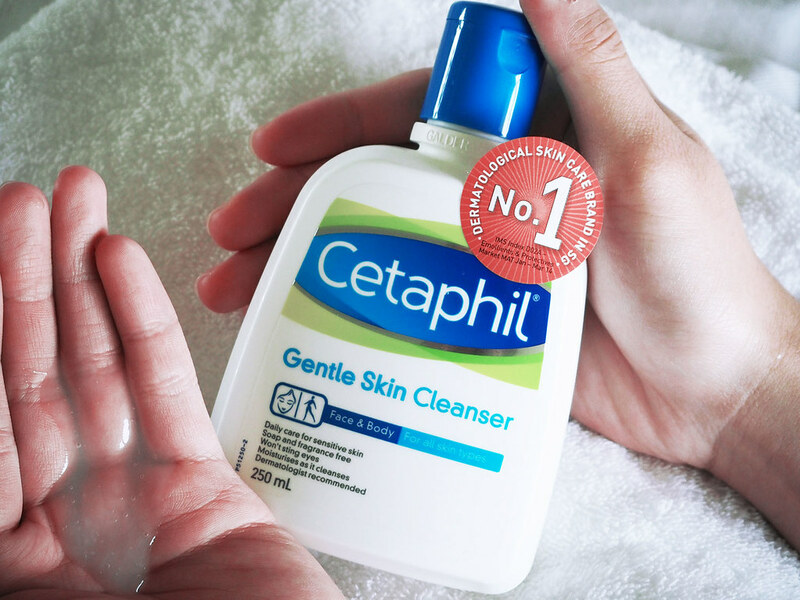 And now, about a decade and a half later, you can still find Cetaphil in my toilet, and it’s still one of the most recognizable gentle washes available in the market, loved by many over the years! You know a brand is worth relying on when it’s been around for this long and still going strong. About one bottle is sold every minute across the globe and its formula developed in 1947 still holds true to tradition, without change – even to this day. 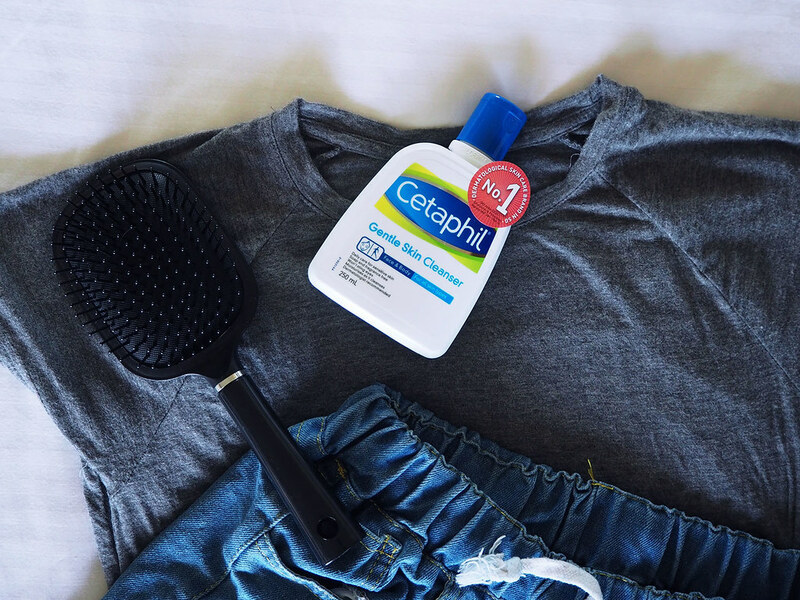 Part of my daily essentials, Cetaphil is a powerful yet gentle wash that is suitable for all skin types including sensitive skin! They even have a specific range for babies’ delicate skin. I had rather sensitive skin that was going through tons of hormonal changes when I was younger, so it’s no wonder that my mom introduced me to a brand that would be gentle on my adolescent skin, that’s packed with moisturizing ingredients. This soap-free cleanser has won numerous awards from beauty industry insiders and the healthcare community. Its gentle, non-irritating properties soothe your skin as it cleans! I’m quite particular about the facial cleansers that I use. I want something that cleans deeply and thoroughly without drying out my skin too much, and not too strongly scented or peppered with chemicals that might be harsh on my skin. 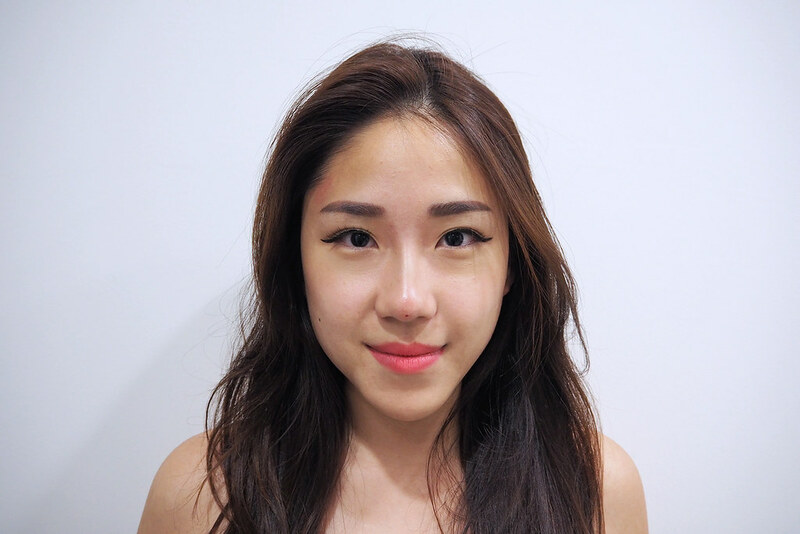 It also cannot be too mild or rich, because I tend to have oily skin on my forehead while I’ve got dry spots on my cheeks. 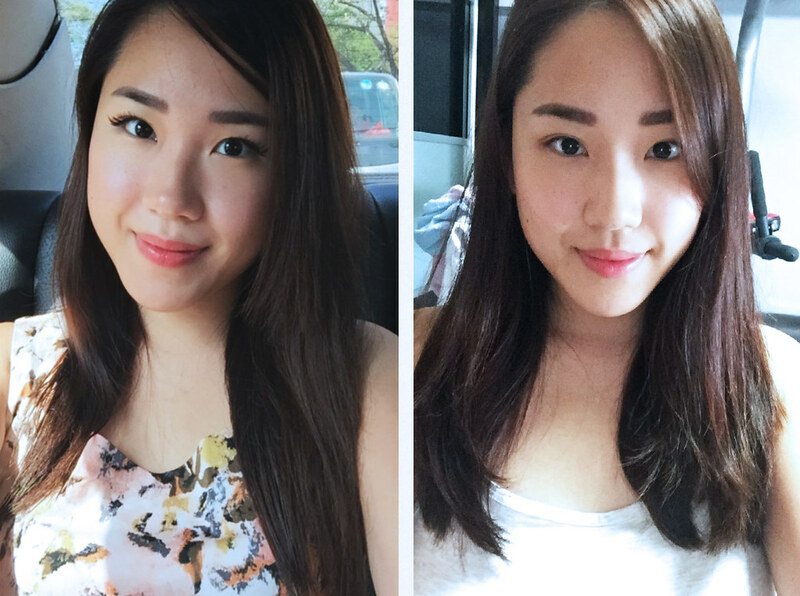 Having combination skin (oily + dry in certain areas) can be problematic, but the Cetaphil Gentle Skin Cleanser pretty much solves that issue for me because I don’t need to worry about the formula at all, it’s perfect for everyday use and my skin feels clean without feeling dehydrated, each and every time! I can even share this facial cleanser with my boyfriend which is a huge plus point, because we enjoy interchanging and sharing facial products whenever I stay over at his place, however sometimes men’s facial products can be too strong for me to use and he finds some of my cleansers too flowery scented for him. 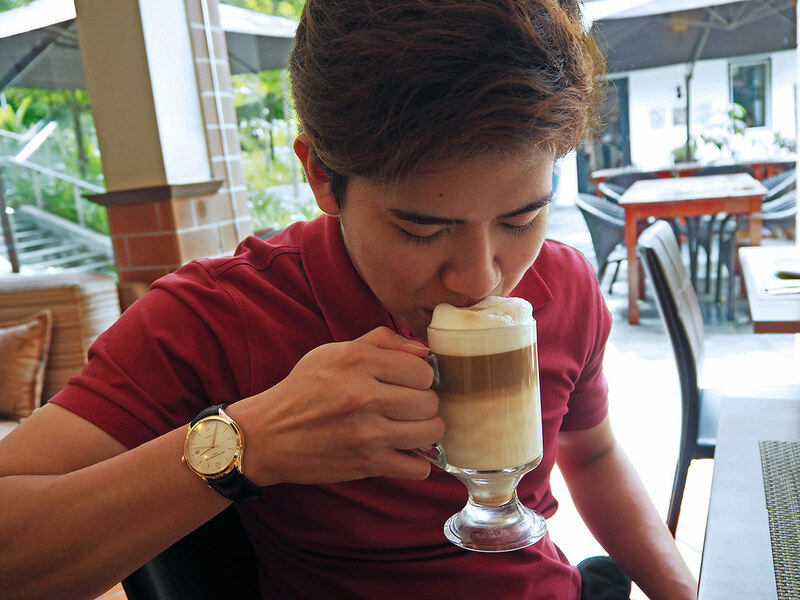 He likes trying new brands but often gets break outs whenever he applies a new product because his skin is even more sensitive than mine, and I like to keep a bottle of Cetaphil around for him whenever his skin is going through a bad week, because it instantly calms his complexion and tones down the general redness. 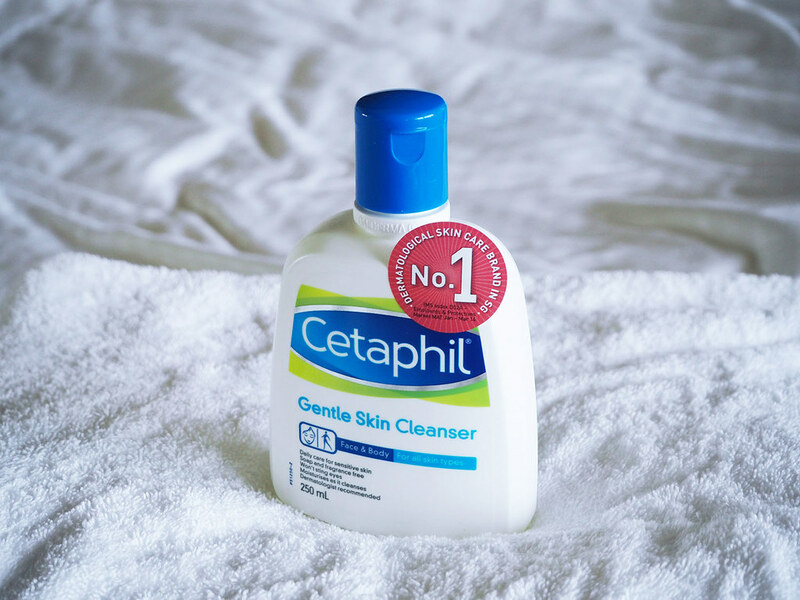 Don’t just take my word for it, you have to try Cetaphil if you’re looking for an all-rounder facial that will be gentle and good to your skin. 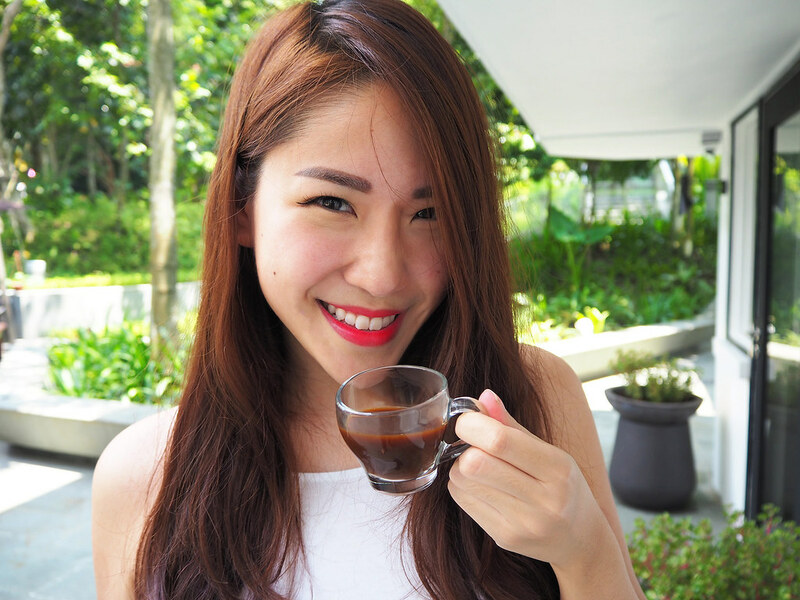 For all of the stress we put our skin through, including environmental factors (dusty / overly sunny situations), application of make up products, smoking, drinking alcohol and general negligence towards our skin and health – it’s good to know we will always have something to fall back on. 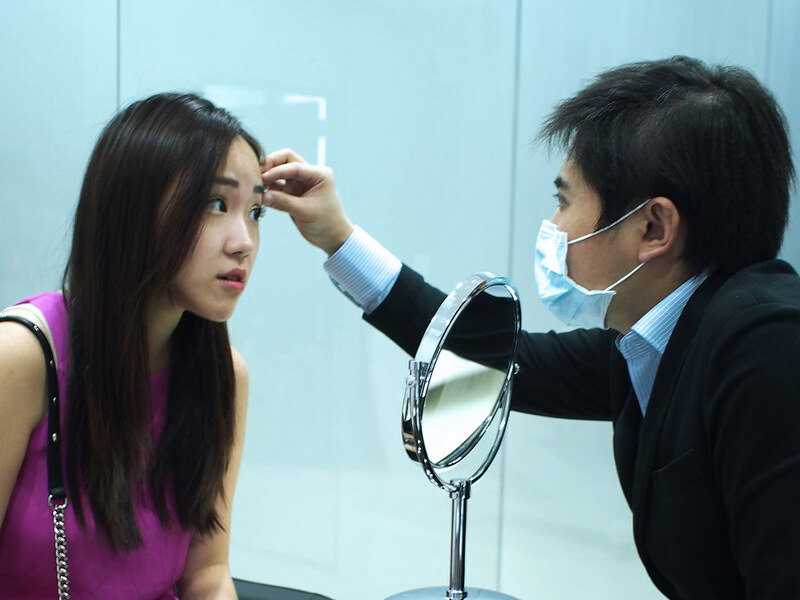 This article is brought to you in collaboration with Galderma Singapore. 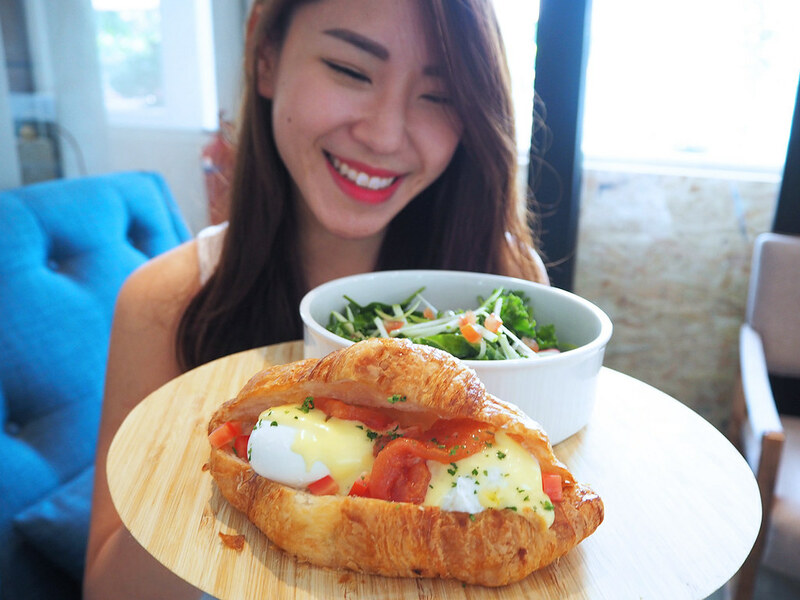 I admit to not having explored the West side of Singapore very much as I have mostly stayed in the East and North most of my life, but I took a day off to explore Rochester Mall recently, and was surprised to find some hidden gems to dine at! 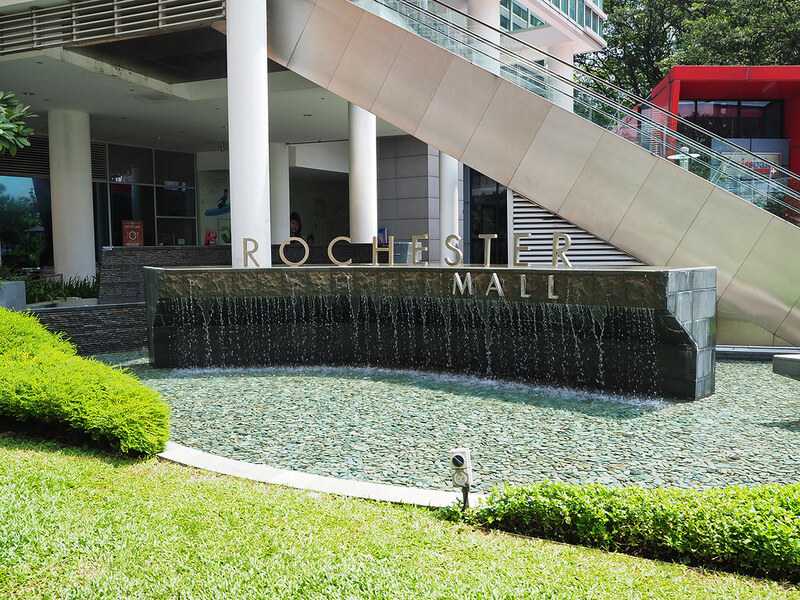 Rochester mall is located next to Buona Vista MRT, which makes it easily accessible even if you don’t drive. 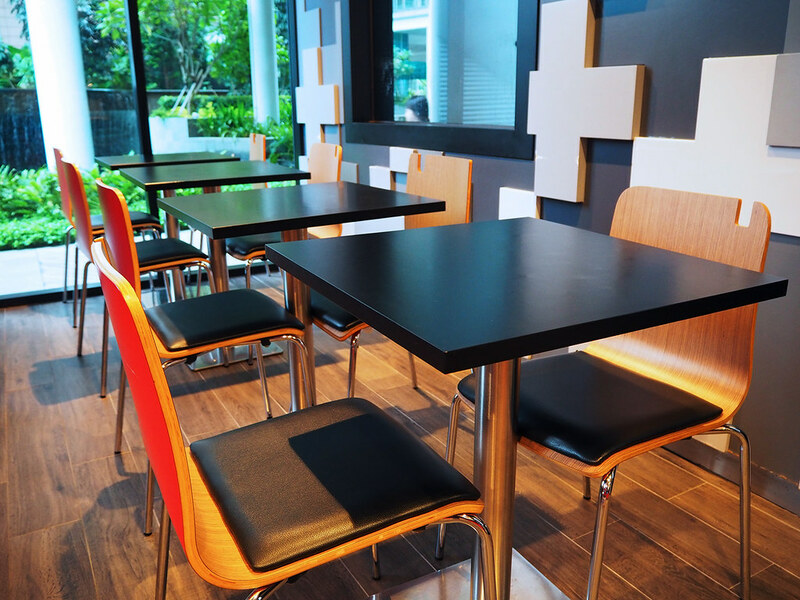 It’s a family orientated mall, with enrichment classes for the kids, ifestyle services such as massages, nail, hair, fitness classes to keep the adults engaged, and my favorite feature of the mall has to be their abundance of alfresco dining options! 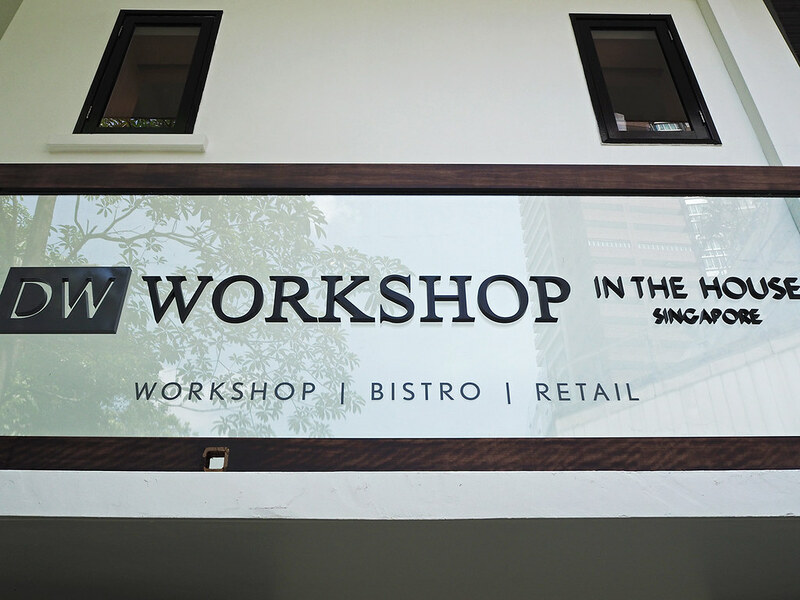 Our first pit stop of the day – DW Workshop, a newly opened place that’s been running for less than a month when we visited. 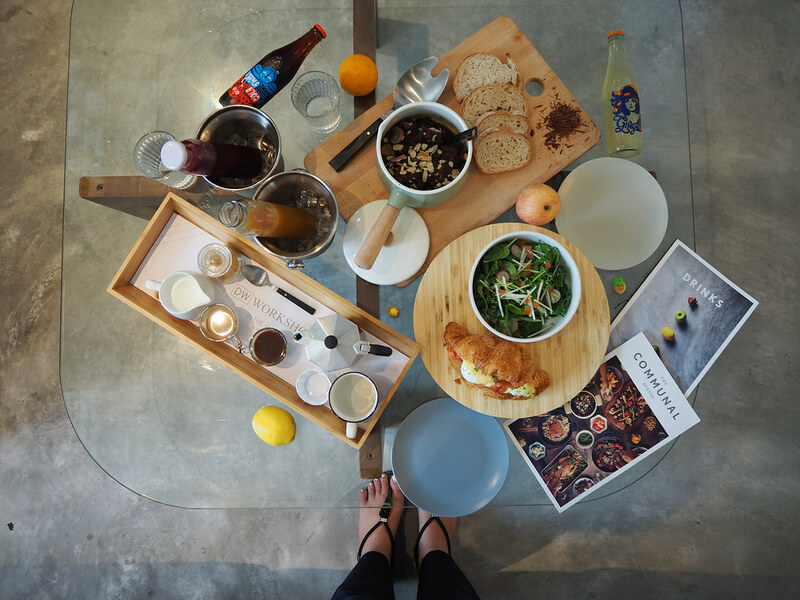 DW Workshop is a wonderful new concept destination that allows you to attend fun workshops (think arts and craft, DIY, even cooking classes) and get really good grub + nail the perfect Instagram shot at the same time! Just look at the aesthetics of this place. 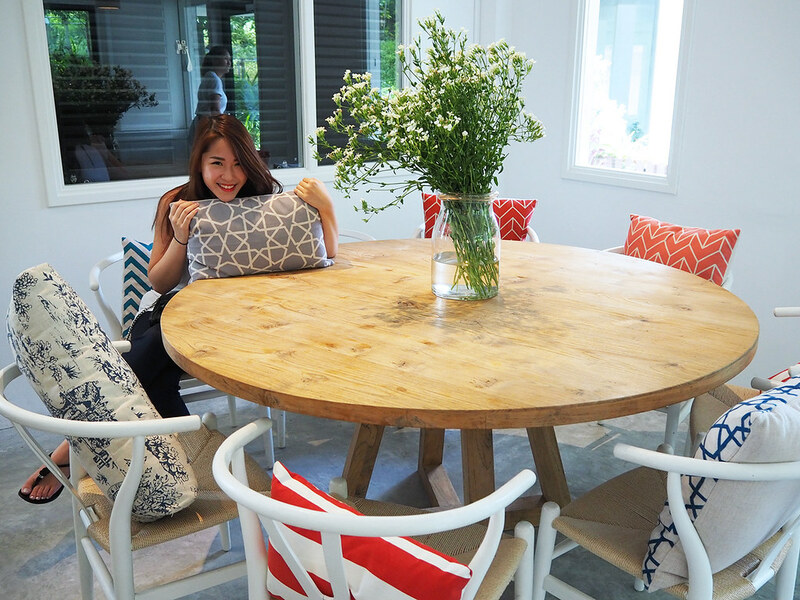 It’s a design HEAVEN. 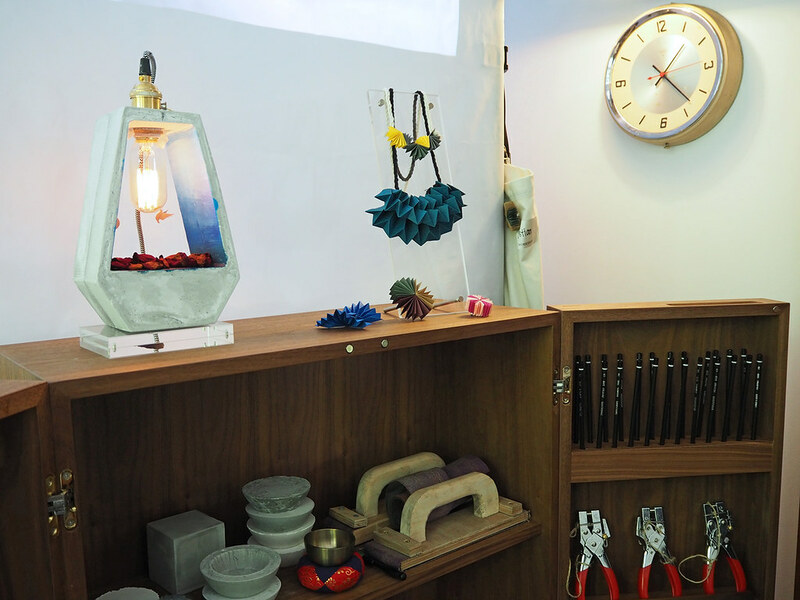 Every corner of DW Workshop is so Instagrammable, it makes photo-taking here a real breeze, what with the natural sunlight spilling in through the large windows and reflecting off their white walls. It’s like I walked into a Kinfolk book, guys! 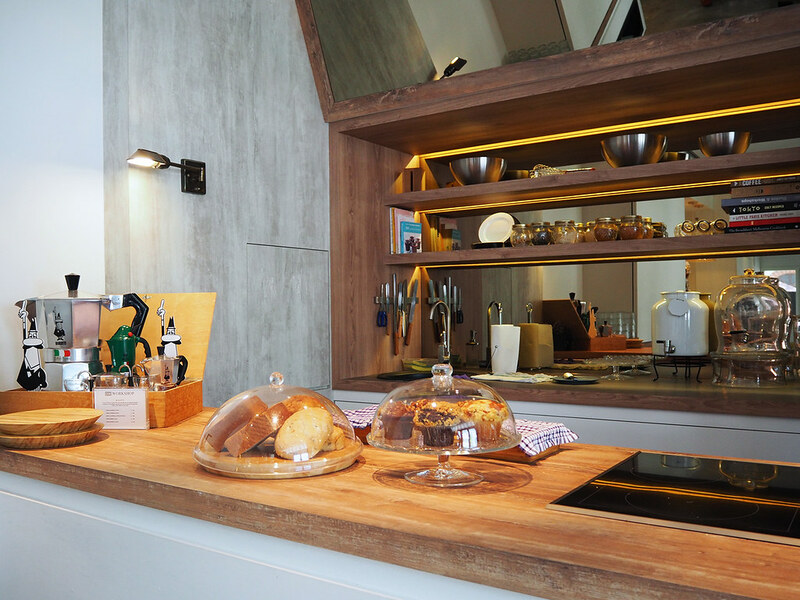 And that open kitchen…. urghhh. My heart. 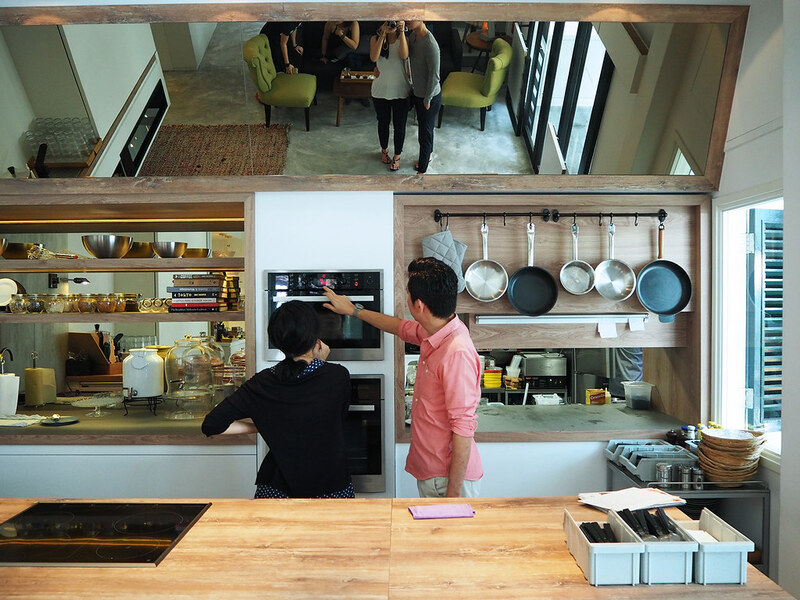 Talk about #houseinteriorgoals! 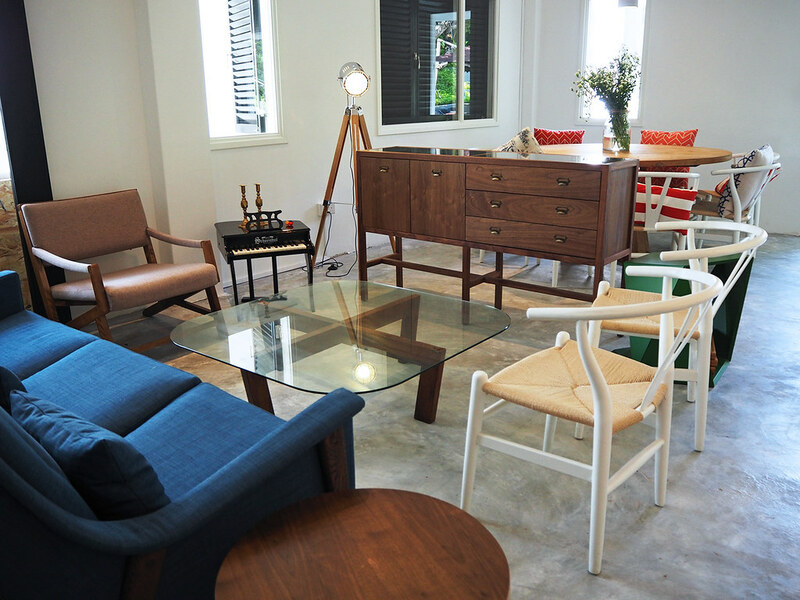 They’ve customized many of their furniture pieces here, to achieve this magazine home look. The second level, where the workshops are mainly held. You can learn how to DIY your own lamp or paper jewelry from scratch here! How cool is that? Obviously they understand that industrial / boho chic is all the rage right now. They even have fascinating knick knacks for sale, curated stuff they’ve brought in themselves from all over the world.. including this watch that aids visually impaired or blind people to read the time by using braille. 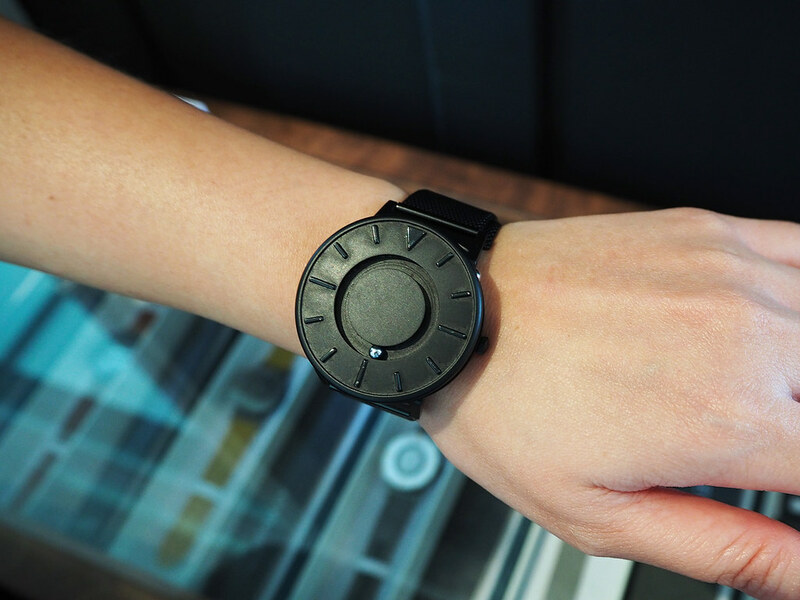 The little ball is magnetic and automatically goes back to the proper time whenever you shake your wrist! 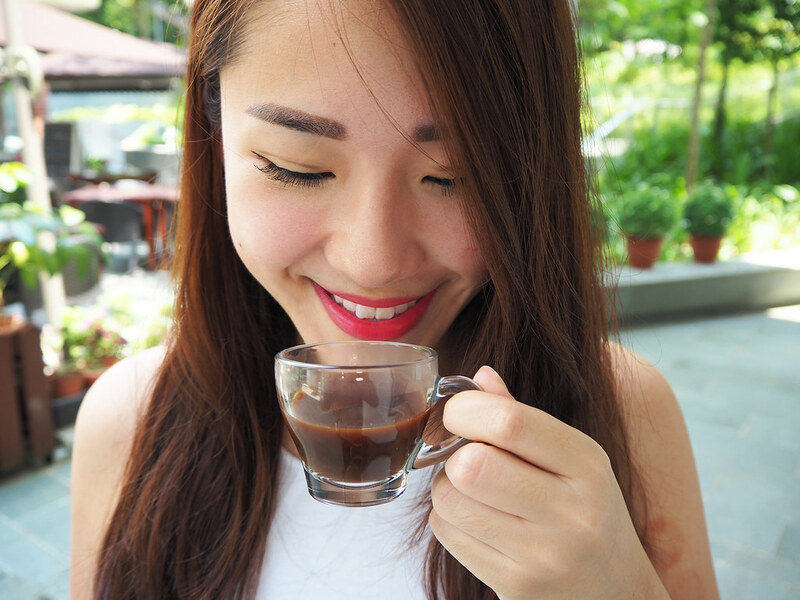 Before trying out their lunch menu, we decided to check out their coffee because DW Workshop proudly brews different types of coffee that will totally be up your hipster alley! 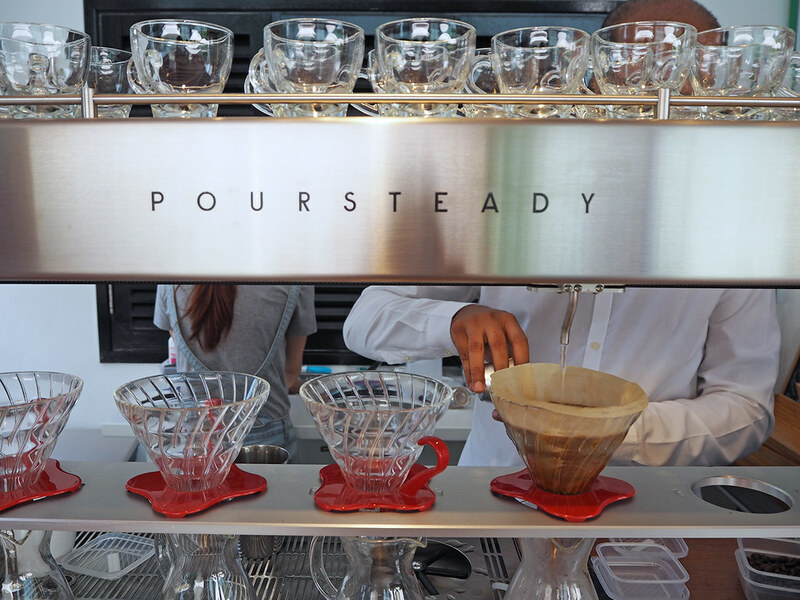 They’re also the first in Singapore to bring in Poursteady – a robotic machine that creates reliable, perfectly executed pour over coffee each and every cup! How high tech is this?! 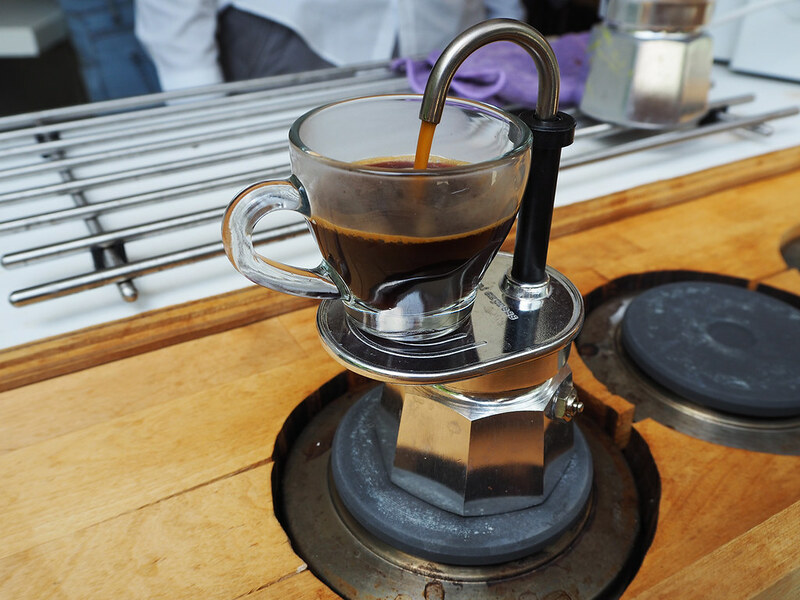 The espresso was fragrant and extremely strong. If you like your coffee with some kick.. you’d really enjoy this. I took it down better with some milk and sugar! 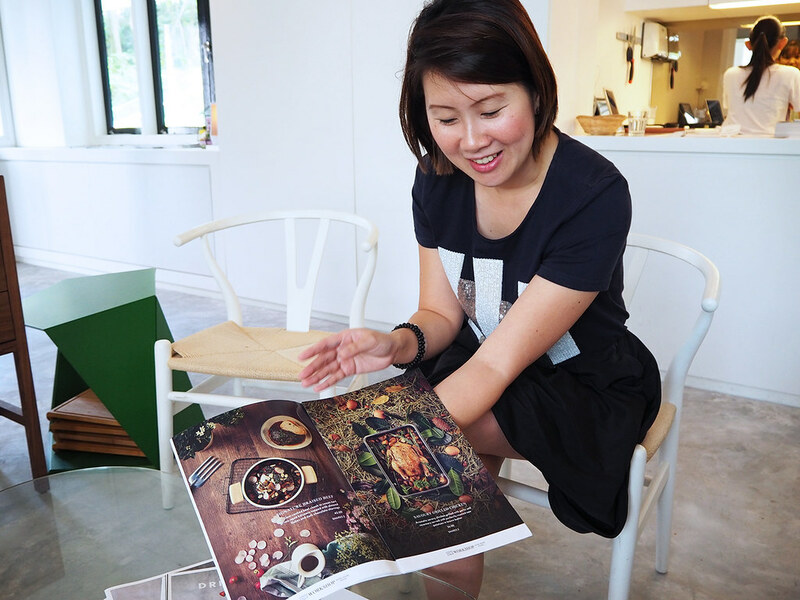 We were introduced to the menu and concept of DW Workshop by Edalin, who kindly brought us around the premises and was all too happy to patiently explain their meticulous detailing to us. 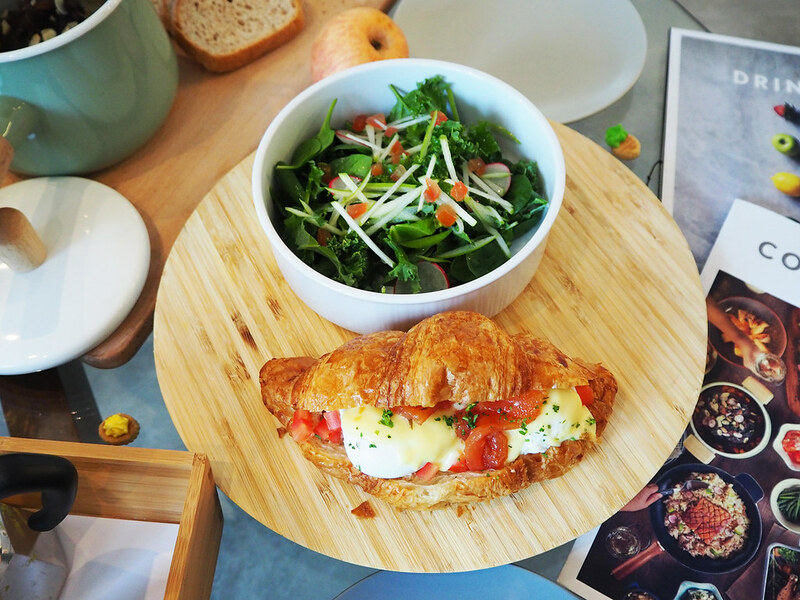 Was glad that we came on a weekend, because their Weekend Brunch menu looked amazing!!! We wanted to order everythingggg. 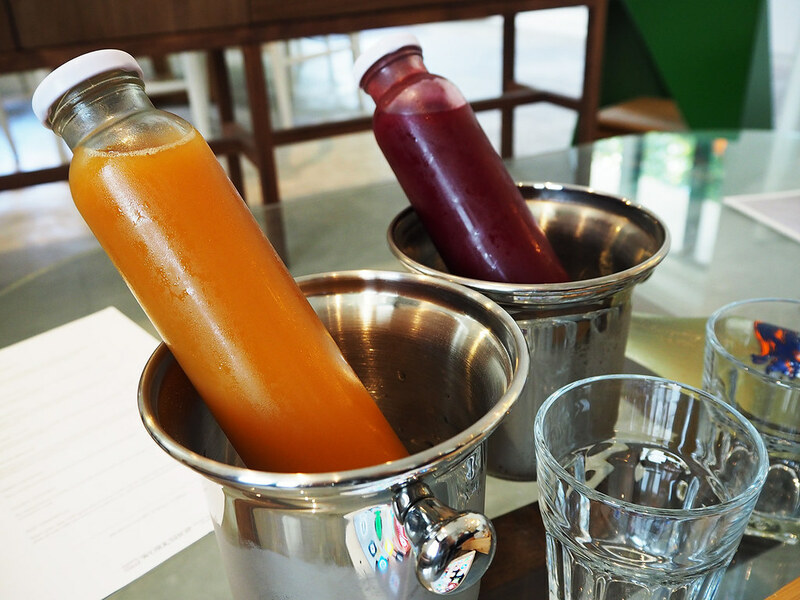 Lovely cold pressed juices, my pick was Cloudy Apple. I kid you not. 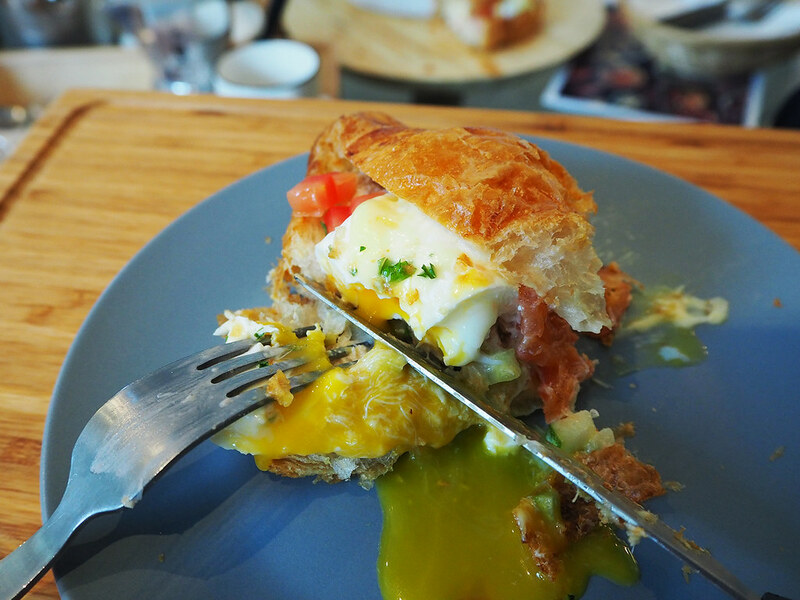 This was one of my favorite dishes I’ve ever had for brunch! So refreshingly delicious! 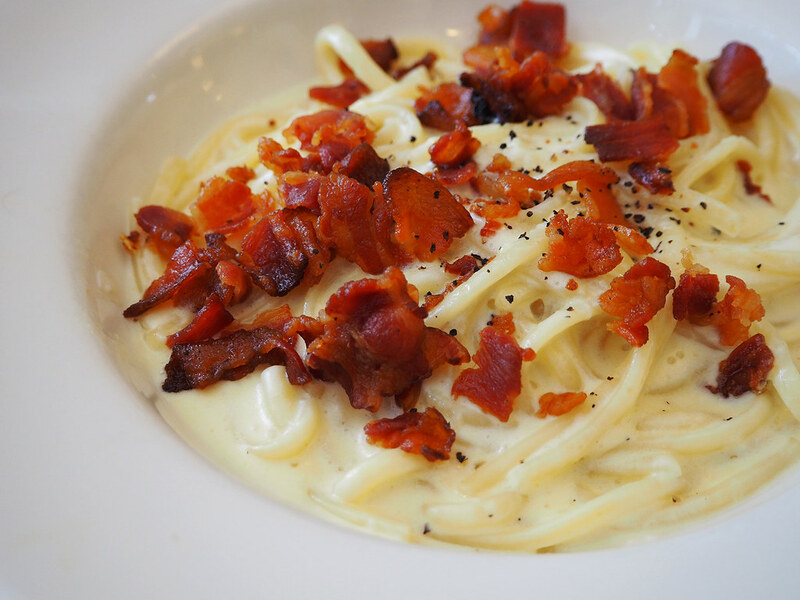 Looking at this photo is inducing major cravings right now. Whoever thought up this simple but effective combination – genius. 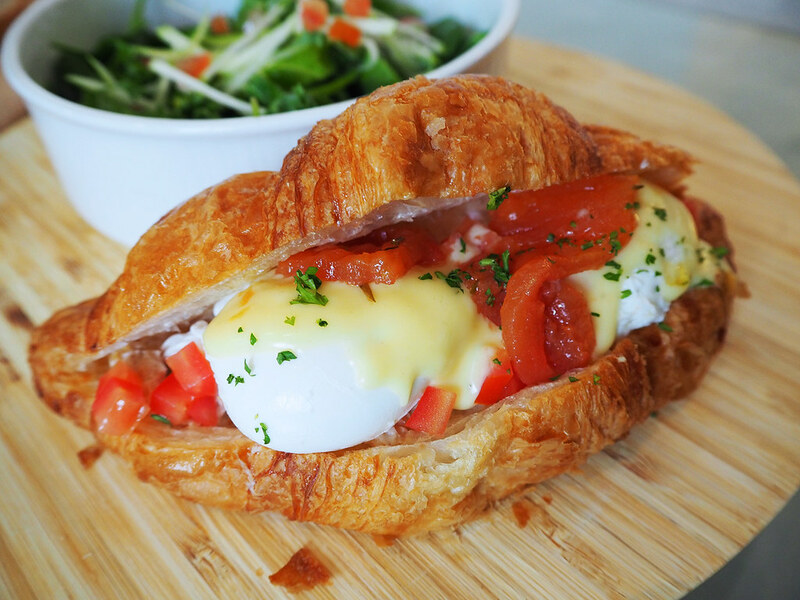 The rest of the world should catch on and create more croissant-benedict hybrids. Our other main, the Beef Bourguignon was also great. 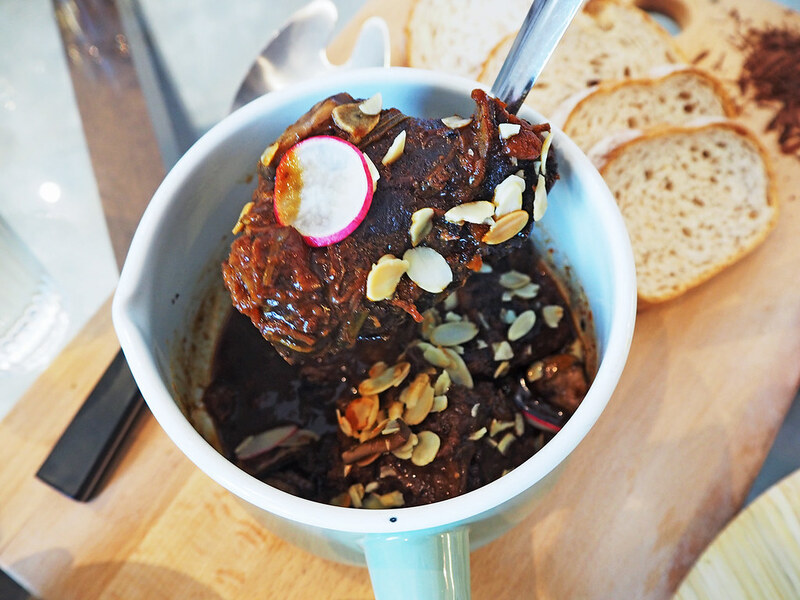 Slow cooked with balsamic vinegar for many hours, it even comes with dark chocolate shavings and bread to soak up all of that wonderful thick sauce! Our entire table spread of food at DW Workshop. 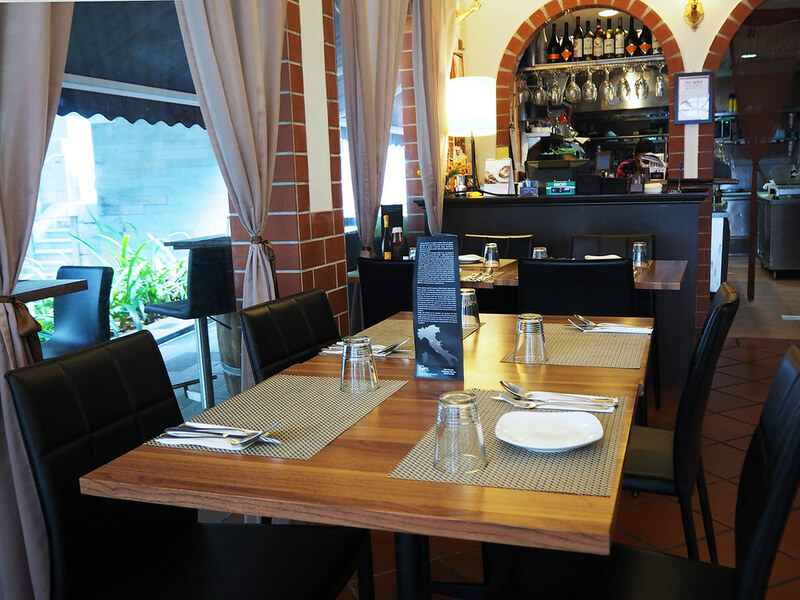 I loved how they use quality ingredients and that the menu wasn’t overly complicated of fancy. 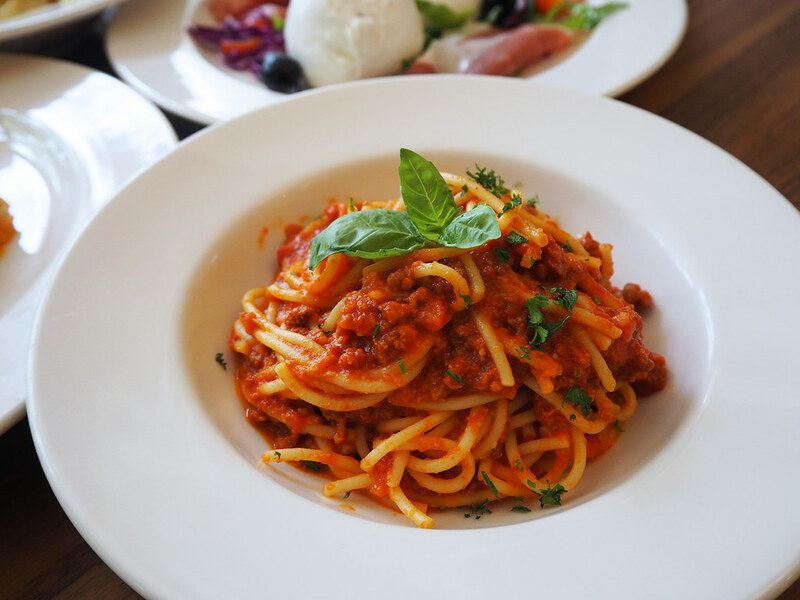 Straight up good food that’s executed well, to comfort your soul. D and I sat on the couch for hours (that’s where we dined, they’ll give you a wooden board to put on your lap), just idly chatting and enjoying our afternoon at this cosy little new find..
We’re gonna be sad when it starts getting more crowded because it’s so undiscovered at the moment, we were able to spend an entire Sunday afternoon basking in its quiet tranquility! When we were done with our mains, Edalin walked over to surprise us with desserts on the house. Such lovely hospitality. 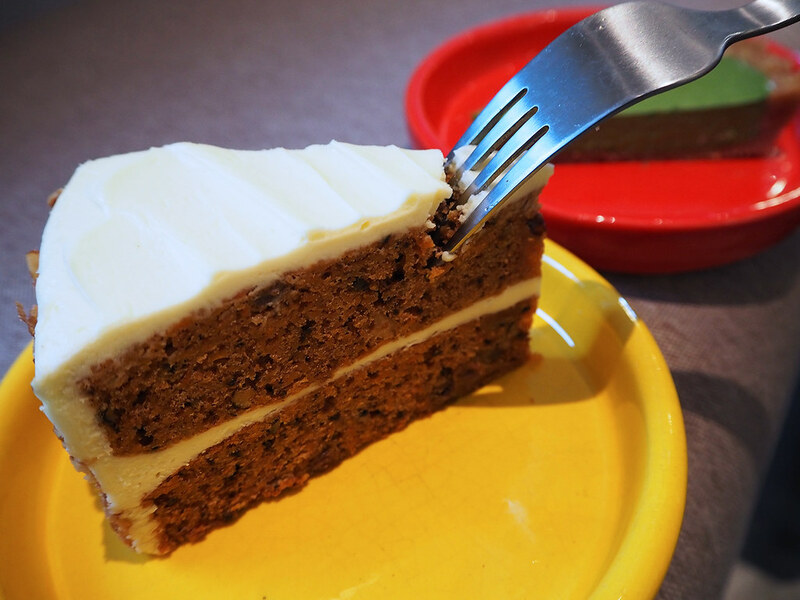 We really enjoyed the Matcha Tart and Carrot Cake, thank you very much!!! 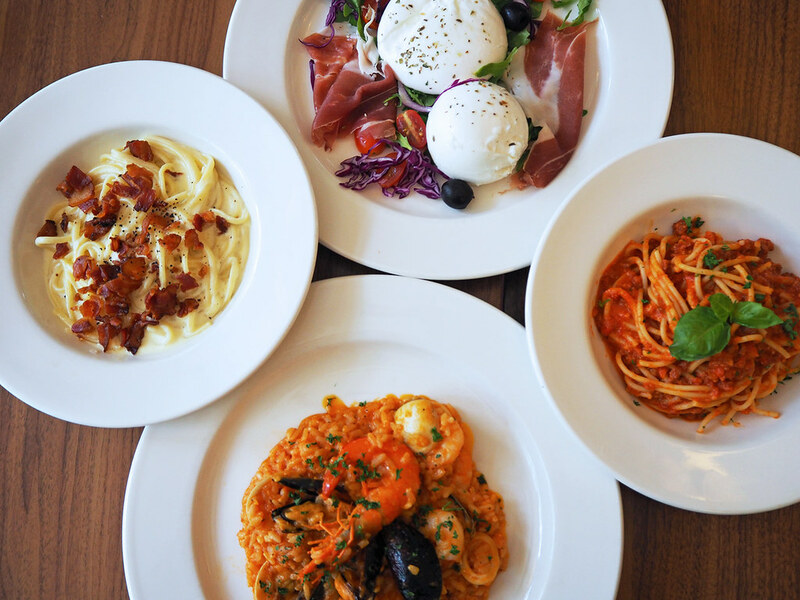 If you’re looking for a date night sorta place, PastAmore may be what you’re looking for, located right next to DW Workshop! 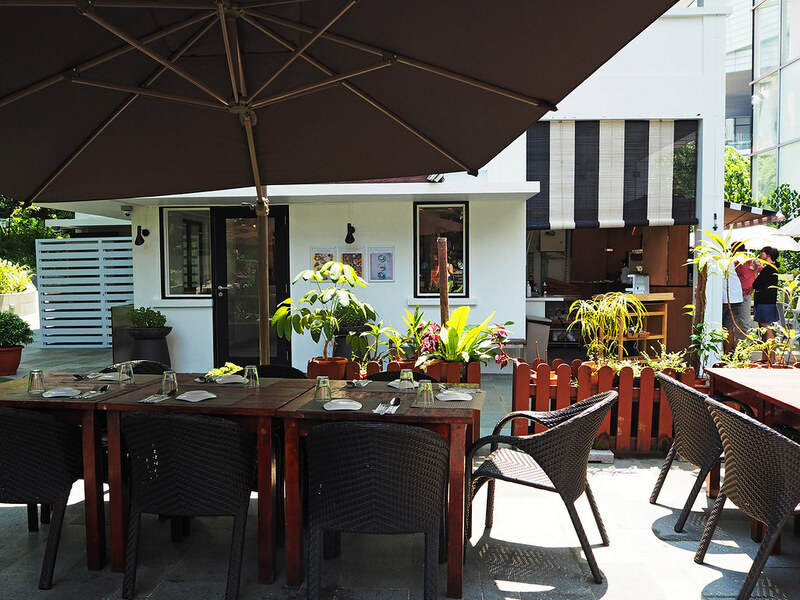 Their alfresco set up is totally appropriate for dinner dates in the evening, while their indoor seating area is cosy and unpretentious, suitable for families and friends alike! 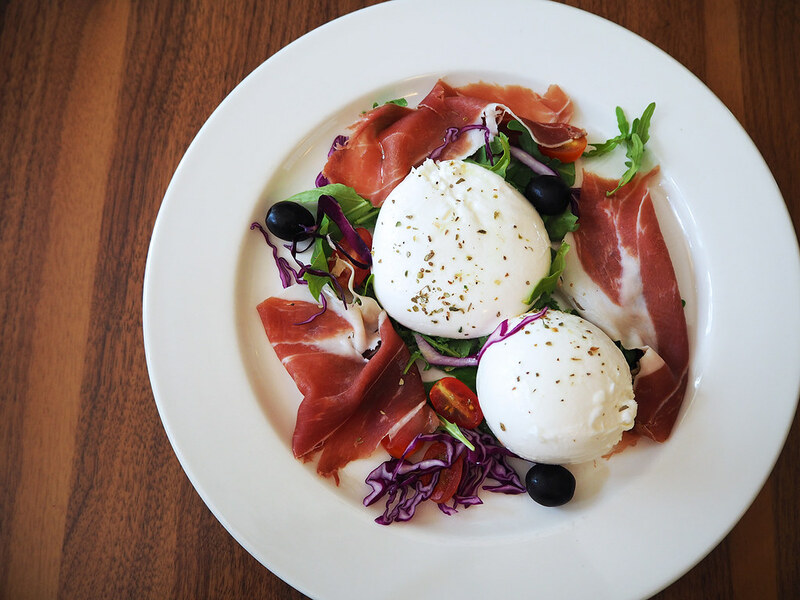 Parma ham with buffalo mozzarella. I love Parma ham! 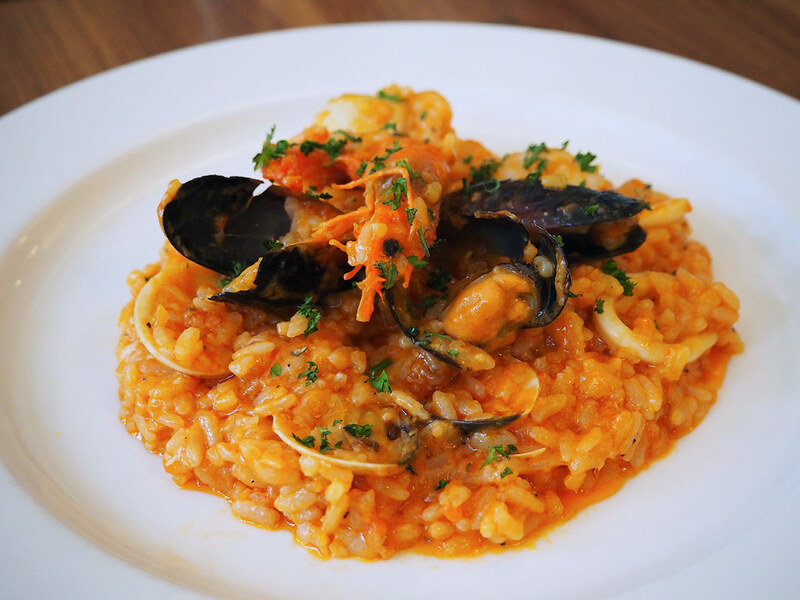 And my favorite – Seafood risotto! This was delicious, both creamy and tomato-ey at the same time, with a nice robust seafood flavor in the simmered rice. 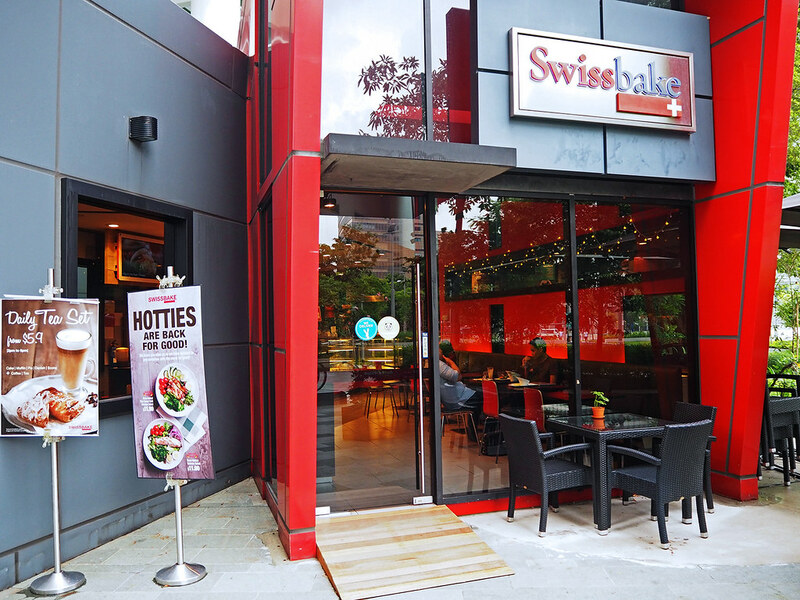 Our final pit stop at Rochester Mall concluded our gastronomic adventure at SwissBake! 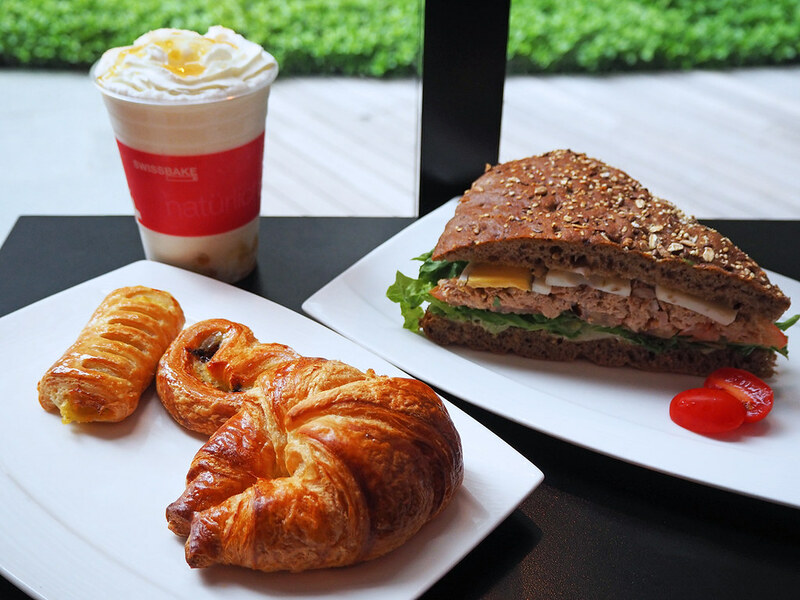 I’m sure Swissbake needs no further introduction, they’ve been around for a long time and have been serving yummy pastries in different parts of Singapore! 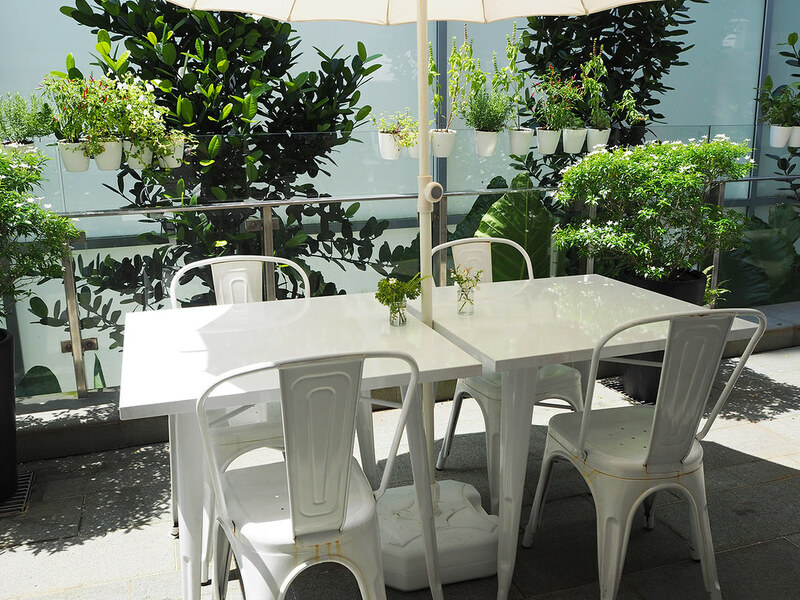 If you’re looking to stop somewhere for a quick tea break or a short meeting, this would be an ideal place to grab some pastries and some sandwiches. 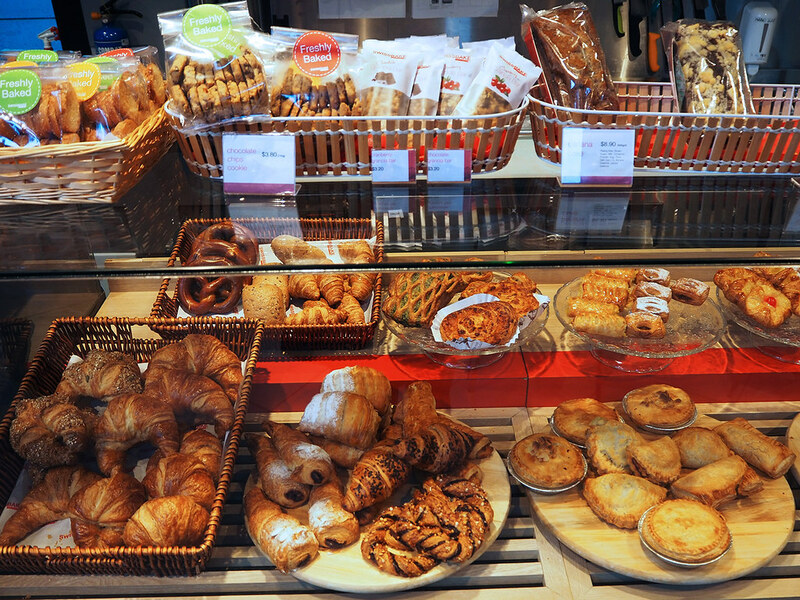 You’ll be spoiled for choice when it comes to choosing breads and pastries at Swissbake! 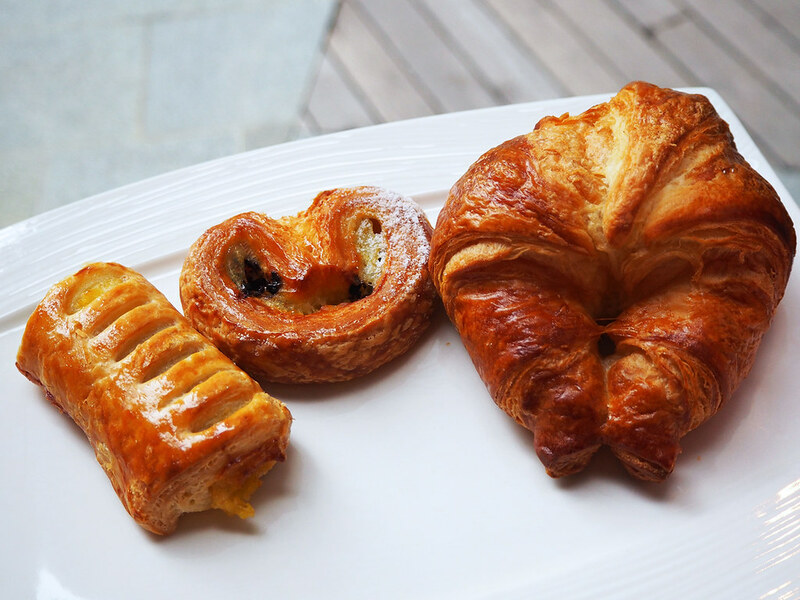 We had their Peach Yogurt drink, tuna sandwich, palmier, croissants and banana roll. By the end of it, we were so extremely stuffed! that we had to take the tuna sandwich home. Still tasted good after keeping it in the fridge for a couple of hours. 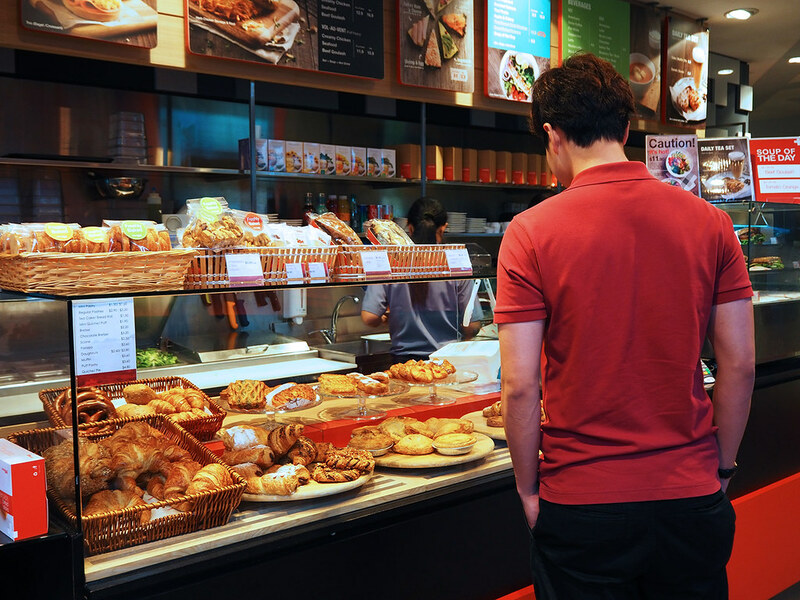 The next time you’re in the West and looking for dining options to explore, why not check out Rochester Mall? 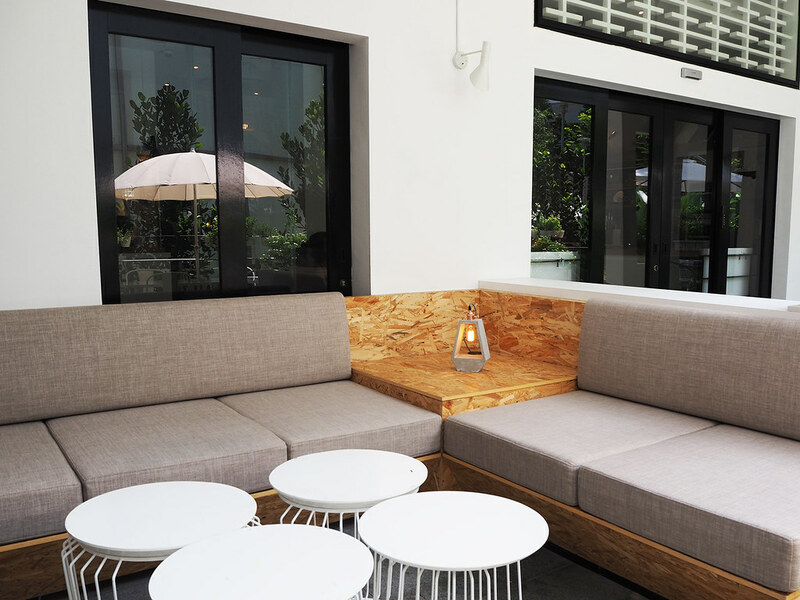 They’ve got a whole lot more to offer, waiting for you to discover! 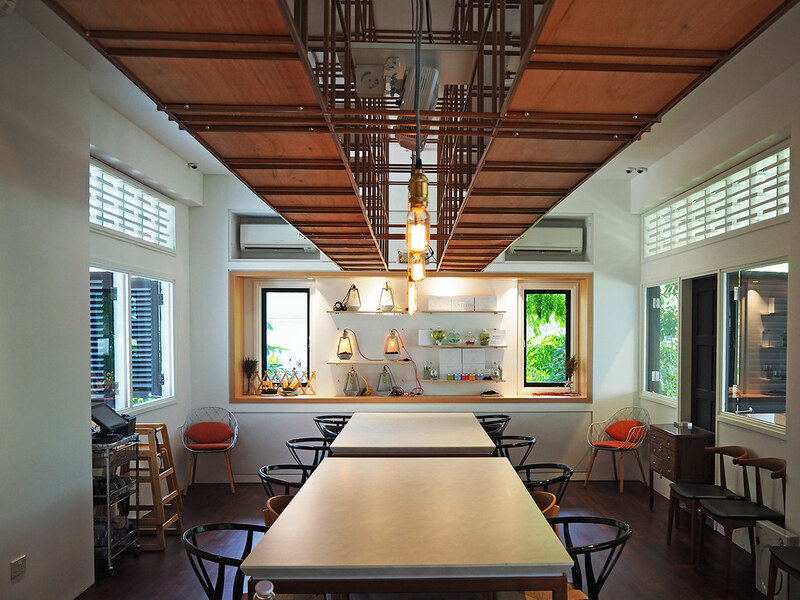 DW Workshop is a definite must visit by my books! 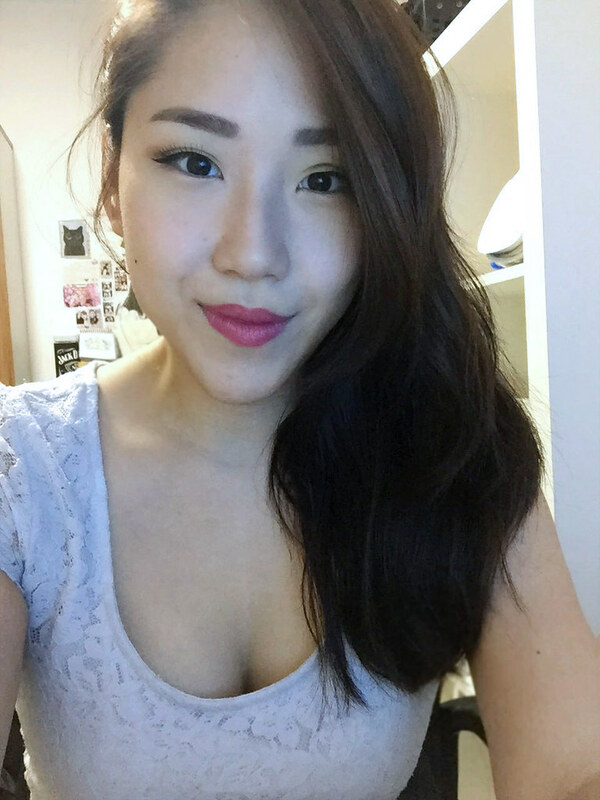 Perhaps one of the best feelings in the world is coming home at the end of a long day, and just removing your makeup (and bra). Nothing feels as refreshing as removing all that grime and gunk off your face. 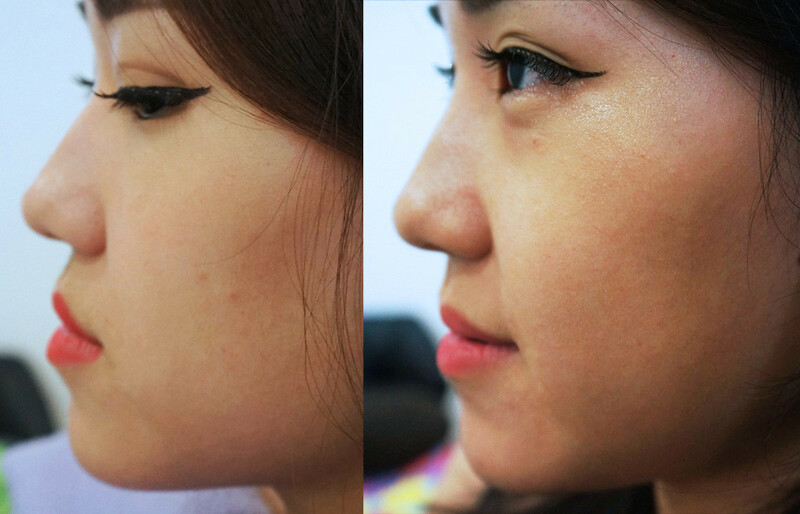 It’s like suddenly, your pores can breathe again! 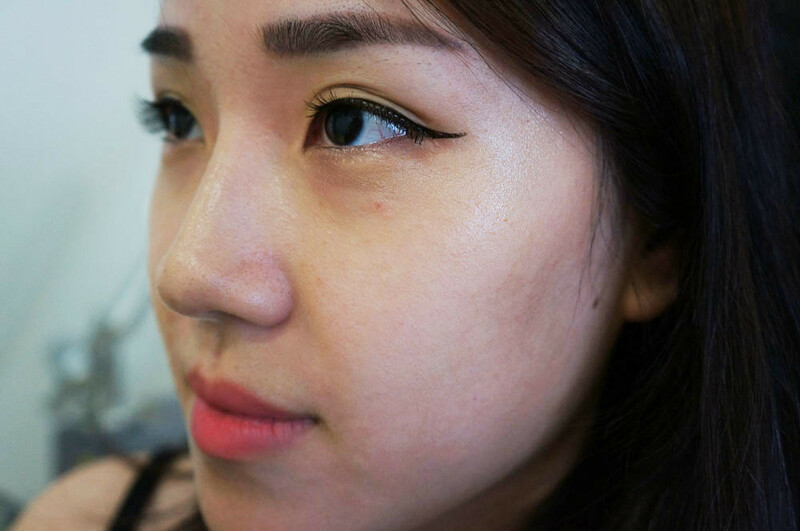 There are several different kinds of make up removers in the market – including oil based cleansers, soap based facial foams, but my favorite method of removing make up would be using Micellar Water. Simple has been an expert in providing dermatologist solutions for sensitive skin since launching the first perfume and colour-free soap in 1960. Simple believes in using only the purest skin-loving ingredients with as little artificial ingredients or additives as possible, and that looking good can be simple, not complicated! 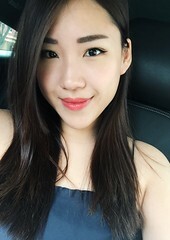 Although oil based make up removers are great at removing extremely stubborn waterproof make up almost immediately, I do not like the greasy feeling it leaves on my skin, making me feel like I have to wash my face after that. Not a fan of soap-based facial foams either, because you have to use them at a sink with running water. 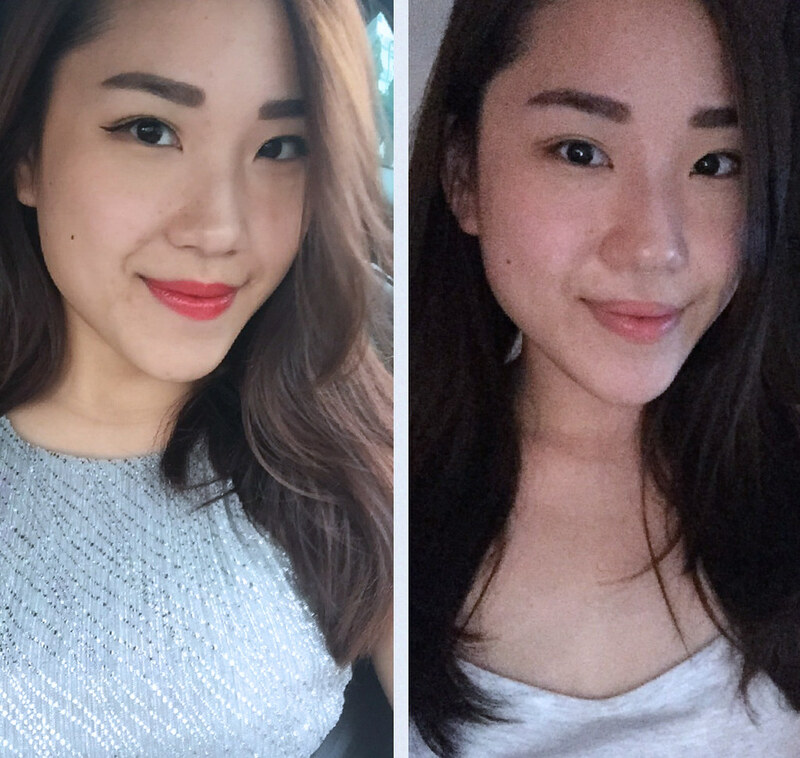 Micellar water is perfect for someone who’s always rushing (and sometimes lazy) like me because you don’t even have to rinse off your face after that, meaning you can save that few extra precious minutes before bedtime! Simple Micellar Water conveniently removes makeup without rinsing and provides hydration benefits at the same time. It actively works to attract and remove impurities while helping to unclog pores, supporting the skin to breathe. Simple Micellar Water won’t leave the skin feeling tight or sticky but just clean, refreshed and instantly hydrated by up to 90%. 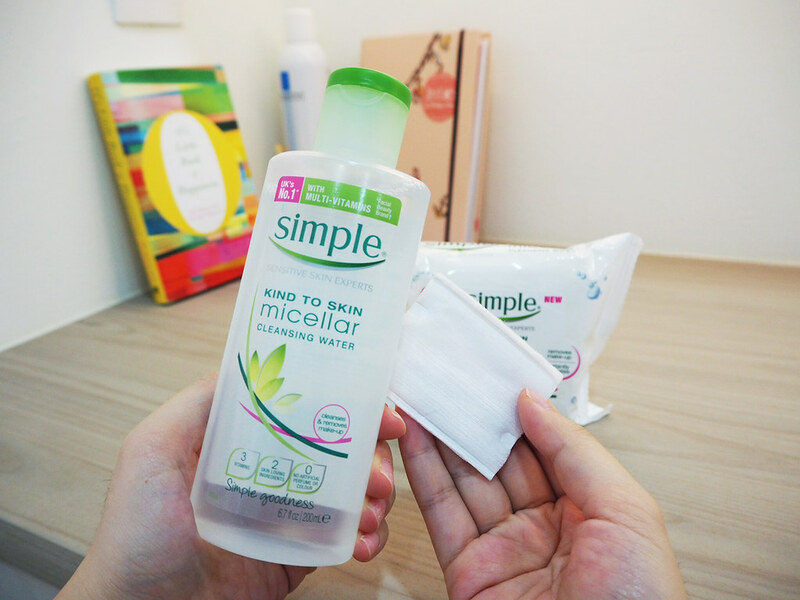 Simple offers Micellar Water in two forms – one that is the straight up solution in a bottle, and other, packed into pre-soaked wipes in a handy resealable packaging. 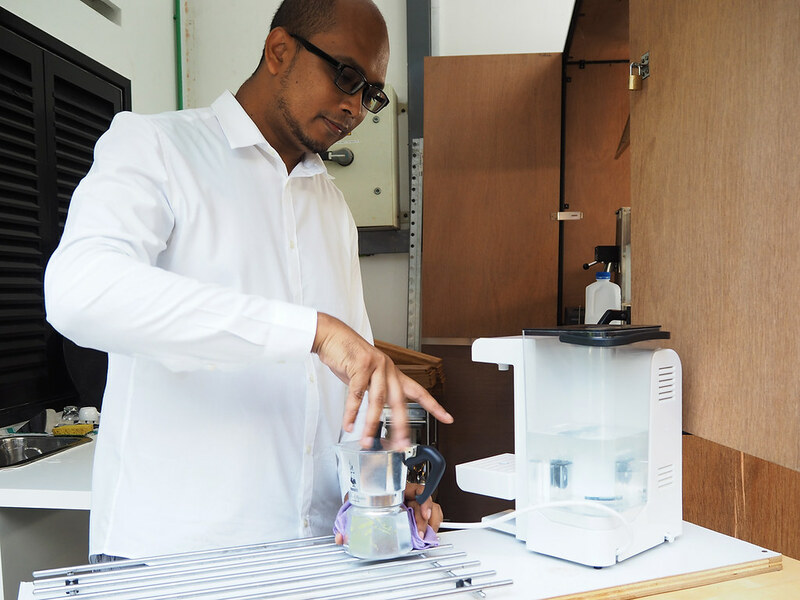 Triple Purified Water: The purest possible water to minimize potential for irritation from extraneous particles or contaminants that can irritate skin. 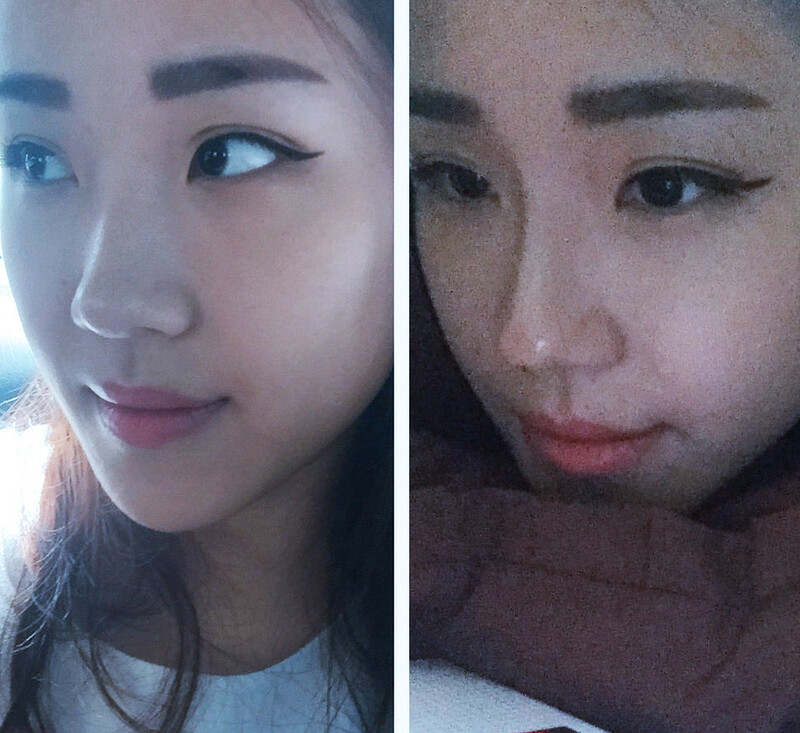 I like keeping the bottled form at home for everyday usage because some days I have lighter make up days than usual, and I will only require a small amount of solution to effectively remove my make up, so I can easily control the quantity poured onto a cotton puff. 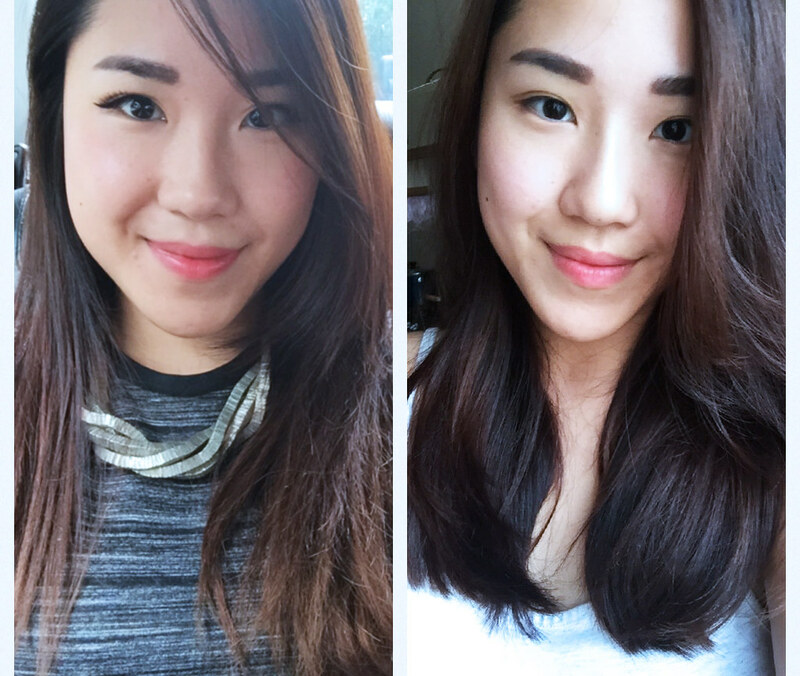 Never used Micellar water before? All you need to do is soak a cotton puff with the solution, and gently wipe all around your face to remove the dirt and makeup! No need for rinsing afterwards. 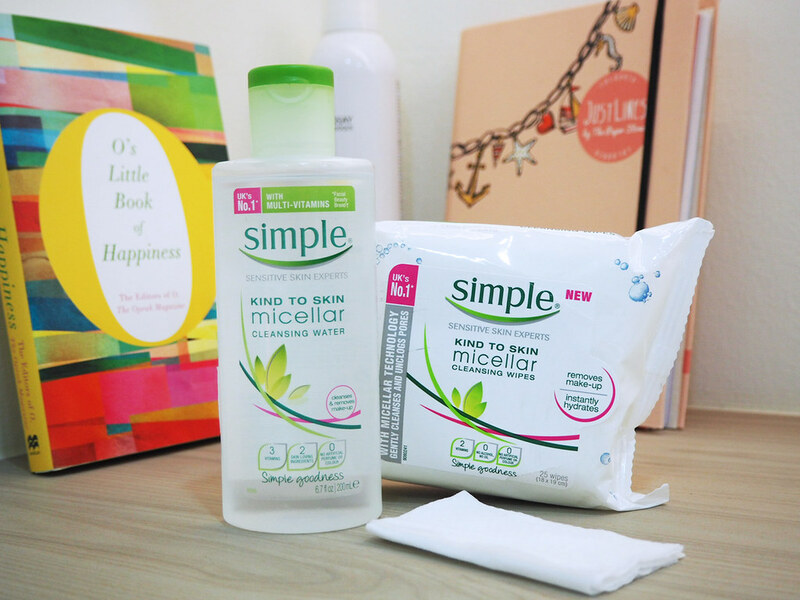 The Micellar wipes from Simple are great convenient things to keep around! Because of its unscented nature, I do prefer it to other brands that have heavily perfumed products, since I have rather sensitive skin. I like to take this around with me, especially if I’m traveling, and I use it even when I don’t have any make up on, but when I just want to refresh my face. They are currently also the only Micellar wipes in the market. 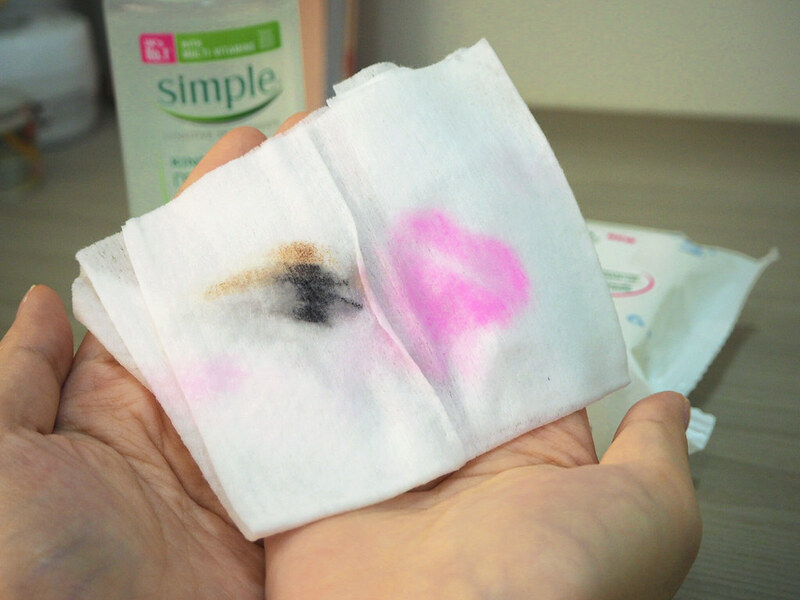 Just because it’s not oil based doesn’t mean it cannot remove your make up efficiently – the Micellar Water and Wipes from Simple had no issue soaking off my usual make up of concealer, eyeliner, lip color, and brow pencil! I love how smooth and hydrated my face feels after using these wipes as opposed to the tight, overly harsh feeling I get from other products that are too strong for my skin’s usage. 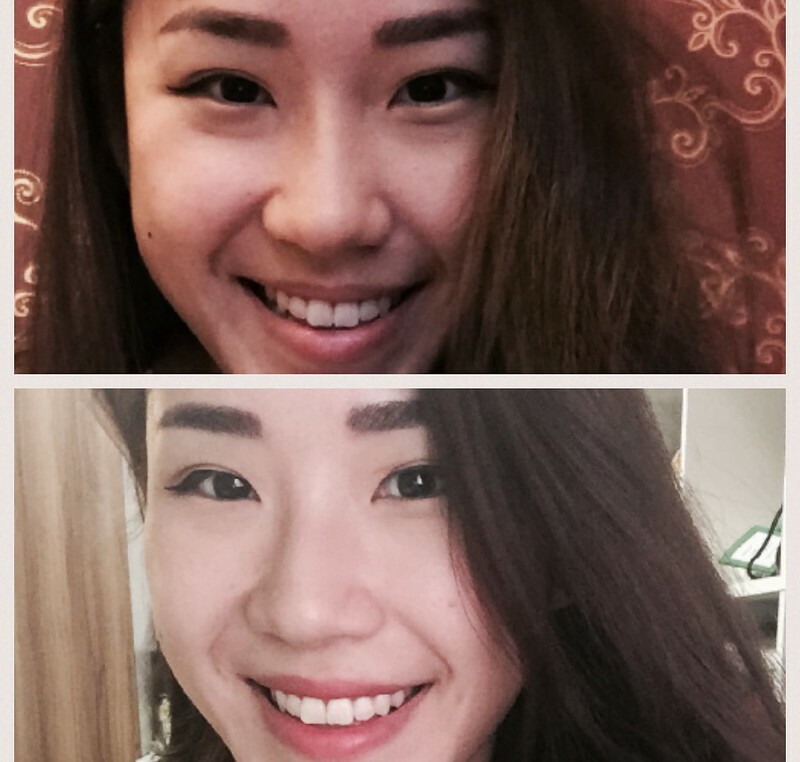 Squeaky clean is possible without the discomfort and additional chemicals after all! 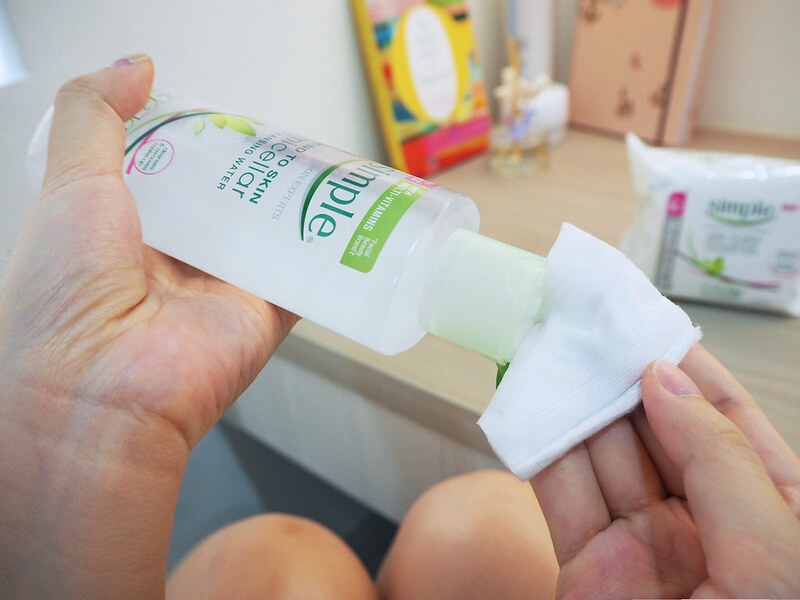 You can find Simple Micellar water and wipes retailing at major pharmacies, including: Watsons, Guardian, Unity, FairPrice, and Redmart at $16.90 for Micellar water, and $15.90 for the wipes. If you’ve never tried Micellar water, pick one of these babies up and be amazed at the results when you realize how gentle, hydrating and effective it is on your skin!